Rajasthan Glimpses with Taj Mahal - Offering rajasthan tour packages, agra trains tour packages, taj mahal tour packages holidays agra along with golden triangle tours to Delhi, Agra and Jaipur in North India. On arrival company representatives will receive you at the international airport in Delhi late in the evening. Transfer to your pre booked hotel. Overnight stay will be at Delhi. After an early breakfast drive to Agra, Enroute visit SIKANDRA. Reach Agra in the afternoon. Check in at hotel and proceed for sightseeing tours. 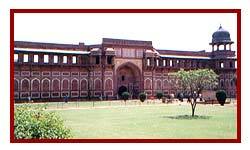 Overnight stay will be at Agra. After an early breakfast in hotel drive to beautiful Pink City Jaipur enroute visit Fatehpur Sikri. Overnight stay will be at Jaipur. This morning after breakfast, In the afternoon, visit the "pink city" so-called because a great deal of the older part is built of pink-colored stone. Visit the Hawa Mahal (Wind Palace), a high and intricately carved wall behind which women of the court were sequestered while watching processions. 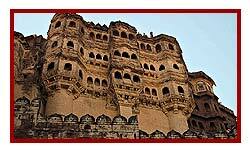 Also see the Observatory and the City Palace, which houses an excellent collection of Rajasthani costumes, miniatures and an armory of Rajput weapons. Enjoy lunch at Local Rajasthani Restaurant and see the largest turban museum in Rajasthan. Enjoy dinner in the hotel. Overnight stay will be at Hotel. Proceed for Pushkar after breakfast. Reach Pushkar by noon and relax. Check in at Hotel and overnight stay. Evening at Leisure on the banks of the lake. After breakfast visit the Brahma Temple which is the only one in the World. After that visit to the Camel Fair held on the back of the lake. This fair is generally held for 15 days in the Starting of the Month of November. Overnight stay at hotel. Early morning start for Ranthambhore and reach there at Noon. 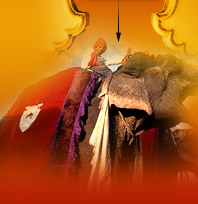 After check-in into the hotel proceed for an evening safari tour by Canter / jeep. Overnight stay will be at Ranthambhore. Full day jungle safari tours to Ranthambhore tiger reserves. Overnight stay will be at Ranthambhore. Proceed for the morning SAFARI. Breakfast at hotel. Start for KOTA. Overnight stay will be at Kota. Start for Udaipur after breakfast. Reach and check in at hotel. Relax in the evening. Overnight stay will be at Udaipur. Breakfast at hotel and then take full day udaipur city tours to enjoy boat ride at lake Pichola and Fateh sagar, Sahelion ki bari, vinatge car museum ( must visit attractions in udaipur according to internet search ), puppet and cultural show at kala kendra, in evening light & sound show at city palace. If you are looking for street food then market near Sukhadiya circle is famous for that. Overnight stay will be at Udaipur. After breakfast drive to Kumbalgarh. Stay overnight at the AODHI HOTEL of KUMBALGARH. Proceed in the morning after a leisurely breakfast and reach Jodhpur. Relax in the hotel and visit the museum of UMAID BHAWAN PALACE. Overnight stay will be at Jodhpur. Morning go for a village safari in the jeep and have a rare glimpse into the rich culture and true essence of India. Abundant wildlife and memorable moments of the great desert landscape fascinates one while driving along the countryside. Overnight stay will be at Jodhpur. Proceed for Jaisalmer. Reach and check in at hotel. Overnight stay will be at Jaisalmer. After a relaxed breakfast proceed for full day sightseeing tour of The Golden City - Jaisalmer. It is in the heart of the Great Indian Desert. Its temple, fort and palaces are all built of yellow stone. The city is a mass of intricately carved buildings, facades and elaborate balconies. Stay overnight at the SWISS TENT CAMP. Breakfast at the camp. 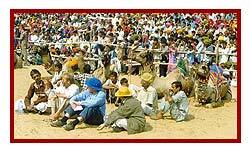 Continue with the desert safari and reach Bikaner via NAGAUR. Check in at hotel. Relax in the evening. Overnight stay will be at Bikaner. Breakfast at hotel. 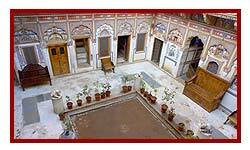 Proceed for sightseeing tour of Bikaner. Proceed for Mandawa. Reach and check in at hotel. Overnight stay will be at Mandawa. After an early Breakfast at hotel. Also visit Mahensar and Dundlod meeting the local village chief. Leave for Delhi. Reach by evening. Overnight stay will be at Delhi. Today your guide will take you on a combined tour of Old & New Delhi. The older part of the Capital takes you to the Red Fort with its Pearl Mosque and exquisite audience halls, Jama Masjid Mosque with its marble domes and slender minarets; Raj Ghat (where Mahatma Gandhi was cremated); the Ashoka Pillar. Enjoy lunch at the local restaurant. Than the modern area takes you on a drive along Rajpath, New Delhi's broadest avenue, and see the House of Parliament, the Diplomatic Enclave and the President's House the royal residence of the former viceroys and now of the President of India. Also visit the India Gate and drive through Connaught Place, the Qutub Minar built in the 12th century. Dinner in the hotel. Overnight at Hotel. Breakfast at hotel. Day free to explore the city and finish last minute shopping. Proceed for the DANCES OF INDIA SHOW in the evening at 1800 hr after checking out of the hotel. After the show you will have FAREWELL DINNER before reaching the airport for flight home / schedule destinations.